Keep your smile and gums happy and healthy! Periodontal disease can be prevented by following a good oral hygiene regimen including daily flossing and brushing along with reducing your sugar intake throughout the day. It’s also important to regularly schedule visits with your dentist to ensure that your gums stay healthy, and should there be a problem, you want to catch it early to avoid further complications. However, if you’re noticing signs of periodontal disease, there are treatment options to help get your smile healthy. 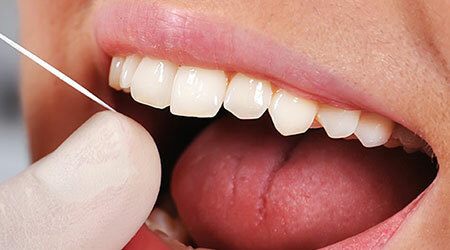 Periodontal disease can be treated easily during its early stages called gingivitis. A professional cleaning will help to remove solid tartar, and then your daily flossing and brushing will help to keep new tartar from forming. This should be enough to keep your gums happy and healthy for a while, although your dentist may require more frequent visits to ensure that nothing progresses. If gingivitis has progressed into periodontitis, then you may require a deep cleaning that involves smoothing and cleaning the root surfaces to prevent further damage. If the periodontitis is advanced, then surgery may be required to clean and remove the gum pockets. In some cases, a gum graft may be necessary to restore the gum line. Luckily, there are many new and exciting treatments available that can help to slow down the disease and minimize the damage. However, the best course of action is to take care of your oral hygiene today before periodontal disease occurs. The TLC team is like family. We wouldn't take our kids anywhere else! Book your appointment with TLC Dentistry today.